Healthcare Regulatory Partner Christine Clements Joins Sheppard Mullin Washington, D.C.
Healthcare Partner Michael Paddock Joins Sheppard Mullin Washington, D.C. Many people believe that healthcare lawyers are pretty much the same, but we don’t. We believe that what separates Sheppard Mullin from the pack is that we do tomorrow’s deals today. Clients who want to innovate contact us – for population health management, global risk, vertical integration, strategic alliances and game-changing transactions. Forward-looking not one size fits all, problem solvers not just legal practitioners. Our clients clearly understand and value this difference. 150+ attorney full-service, diverse national healthcare team, with healthcare transactional, regulatory, health plan licensing, compliance, reimbursement, governance, fraud and abuse, payor and provider contracting, antitrust, tax, non-profit, financing, information technology, employment, HIPAA, artificial intelligence, cyber security, litigation, real estate and other expertise. We are one of the few law firms with lawyers in California, New York and Washington DC devoted 100% to healthcare. 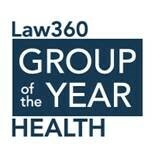 Named twice as U.S. Health Law Practice Group of the Year, recognized for our innovative work in population health management and healthcare reform (Law360). Healthcare Services Transaction of the Year for representing DaVita Inc. in its $4.4 billion acquisition of coordinated care/population health management industry leader HealthCare Partners (Winner, 2013). Shifting to risk/value-based systems, including establishing global risk arrangements, population health management and coordinated care systems, shared savings, ACOs and clinically integrated networks. With our roots in California, our law firm is one of the most experienced nationally in risk-based arrangements. Structuring of innovative revenue generating programs for hospitals and physicians, including provider-sponsored health plans, Medicare and commercial risk adjustment payment programs and risk stratification programs and direct to employer/employer-based clinics. Interdisciplinary team approach to implement Healthcare Reform strategies, including all the services necessary to advise payor and provider healthcare clients regarding the identification and implementation of strategies to maximize opportunities under the Patient Protection and Affordable Care Act while limiting associated legal compliance risks. Experienced in sophisticated, large scale joint venture projects involving multiple hospital systems and large physician groups, and similar integrated healthcare delivery systems in response to ACA bundled payment initiatives and other initiatives promoting consolidation and integration. Involved in over 60% of major West Coast larger physician group deals, including physician contracting, group acquisitions, IPA and network formation, commercial and Medicare ACOs, clinically integrated networks, shared savings networks and risk-based transformation of hospital systems. Healthcare team has over a 90% close of our physician group deals. 65+ hospital alliance, purchase/sale and joint venture transactions in last 10 years. Working with integrated delivery systems on governance, expansion and alignment, provider-based health plans, outsourcing and innovative payor contracting. Representation of national and regional health plans, including full service and specialty plans, on a broad range of matters including provider contracting, risk adjustment programs, compliance, acquisitions and physician alignment strategies. Assisted with the purchase and sale of 30 health plans in California and in other states in recent years, including Medicare Advantage, Medicaid, commercial and provider-sponsored. Ranked nationally for our healthcare expertise, from U.S. News & World Report, Chambers USA, Legal 500, Modern Healthcare, M&A Atlas Awards, the ABA Health Law Section and the Los Angeles Business Journal. Blue Wolf Capital Fund III, L.P.
Brown & Toland Medical Group Inc.
Catholic Health Services of Long Island, Inc.
Martin Luther King Jr. – Los Angeles Healthcare Corp. If a project is exciting and innovative, the chances are Sheppard Mullin is involved. Strategic Alliances – In 2015, we put together the multi-billion dollar national joint venture between Trinity Health and Heritage to transform Trinity Health hospitals into global risk over the next few years. We partnered Mt. Sinai, Montefiore, Optum Health and other leading New York institutions in a joint ventured proton beam center. We represented Heritage in a strategic alliance to develop risk-based physician networks in a population health management initiative. We helped Paladin Capital and Howard University Hospital form an alliance to improve Howard’s community healthcare delivery system and inject needed resources into the health system. Vertical Integration – We are working with payors on innovative vertical integration transactions, including representing a leading Medicaid health plan as it manages or acquires hospitals focused on managed Medicaid patients, and a leading Blue Cross Blue Shield plan on building a new “third network” delivery system in partnership with a large medical group to unite a number of separate physician groups into a shared delivery system to compete with dominant hospital centered delivery systems in the area. Population Health Management – With deep roots in this sector, we have represented four of the five most successful, established population health management/coordinated care companies, as well as a range of private equity backed new entrants. We know what models work and what doesn’t, how to accelerate adoption and success and how to contract successfully. The Rise of Medicaid – With Medicaid expansion, industry participants are searching for a Medicaid strategy that works. We have been helping clients build managed Medicaid networks, obtain Medicaid HMO licenses, participate in DSRIP projects, acquire safety net hospitals, and acquire or build Medicaid physician networks. The Consolidation of Hospital-Based Medicine –We have closed on more than a billion dollars of transactions in the anesthesia, emergency medicine and hospitalist sectors in the past two years, with consolidation happening at an accelerating pace as private equity and public companies aggressively are pricing physician groups and reconfiguring delivery systems. Risk-Adjustment Matures – We are helping multiple payors and physician groups institute sophisticated risk-adjustment programs for both Medicare Advantage and commercial exchange products. The California focus on HCC-RAF is becoming of interest nationally, and we are working with many clients on instituting best practices and maximizing quality and reimbursement. Behavioral Health Focus – Given mental health parity in the Affordable Care Act, there now is a greater focus among payors and providers in fixing our behavioral health system. We are advising on integrated behavioral health models and bringing the equivalent of a “primary care medical home” model to behavioral health. We have worked with behavioral health provider networks, MSOs and carve-out plans. Addressing End-of-Life and Post-Acute Care – We represent more than 150 hospice companies nationally and works with payors, hospitals, skilled nursing facilities, home health companies, physician groups and hospices to improve the post-acute and end of life aspects of the care continuum. We are helping establish risk-based contracts for post-acute care, bundled payment programs that reduce step-down facility utilization and improve outcomes and innovative approaches for hospices to succeed in receiving appropriate reimbursements. Health Information Technology – Whether it’s installation of an electronic health records system, health information exchange or enterprise-wide system, Sheppard Mullin works with leading health systems, payors and physician entities to improve the successful implementation of projects that can cost in the tens of millions of dollars. We recently have advised on “Big Data,” patient engagement, data commercialization and analytics, mobile health, real-time monitoring programs and other exciting innovations. Health Benefit Exchanges: False Claims Gold Mines? Patchwork of state laws adds complexity.